← Long term effects = short term effects? Guillaume Latendresse from the Minnesota Wild got strapped into Dr Ted Carricks GyroStim chair invented by Kevin Maher, who spent seven years perfecting the chair to help his little daughter overcome her cerebral palsy deficits, essentially unable to right herself. At first he and his wife were rolling or turning their little girl to stimulate her vestibular/balance system hundreds of times a day which was suggested to them by one of the many neurologists they had consulted, concerning their little girls affliction. Being a mechanical engineer, Maher came up with a better idea to rotate/stimulate his daughter’s brain which became the first GyroStim chair. His little girl went much much farther in her development then expected. Now she walks with the aid of crutches and has a A+ average in high school. So what does the GyroStim chair have do to these two brains, Maher’s daughter and Guillaume Latendresse? Lets look at the descriptions of the language from Latendresse about his post traumatic brain injury or other people, like Sidney Crosby who also went through GyroStim stimulation with Dr Ted Carrick probably because Pat Brisson is the hockey agent for both players. Concussed people talk about ‘foggy eyes’ in which they have a hard time tracking things with their eyes, they complain about not being able to watch television, they can’t read and bright lights bother them a lot. 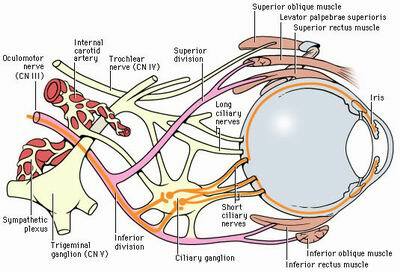 Lets stop right there and do some eye movement 101, let’s go! 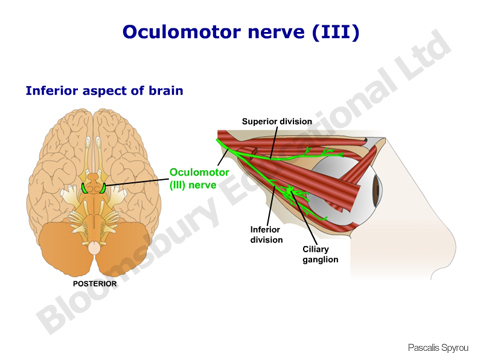 The oculomotor nerve runs from the mid brain stem with two groupings straddling the mid-line, the closest is the Edinger-Westphal, the next, just adjacent is oculomotor nucleus grouping then these axons join running along underneath the brain to innervate the eye muscles for each side. Sherrington remarked in 1898, that, “reflexes are distinguished by rapid, autonomous, and predictable action, all presumed to originate in simple, fixed circuitry.” Sherington could not imagine the actual plastic nature of the brain back in the end of the 19th century. “However, even the simplest of neural pathways are subject to control by other neural systems, to adaptation or habituation, and to alteration of action in response to stimulus context.” So as you can see even the researchers skilled in the domain of inverted gravity have a difficult time deciphering the exact mechanisms on the normal head orientation, let alone what happens in a concussed brain. But the GyroStim appears to use the plastic nature of the brain to rewire itself to accommodate the new gravity vector stimulus in essence, rebuilding the brain. Maher’s daughter, Sidney Crosby and Guillaume Latendresse are all active people with balance posture brain changes following their vestibular recalibration. I am honored that this blog essay when it was first published May 3, 2012 is being used currently as of May 5, 2012, by http://www.GyroStim.com on their web site to promote discussion as to how the vestibular stimulation may be functioning to resolve some of the serious symptoms and complications following traumatic brain injury. I would also like to mention that FDA approval has not yet been achieved so treatment options can be fully documented. But there is little doubt in my mind that the GyroStim stimulation is a huge jump toward changing aspects of the plastic nature of the brain to achieve changes. Science can be very nasty at times with the publish or perish attitude that sits at the foundation of grant funding. Now let me remind the reader that during previous attempts toward grant funding to approach the source of funding some of our return comments are such like, “..it’s not neurological enough.” Or perhaps we were in the wrong selection group I don’t know. But there is a tendancy to promote topics in a framework of what is acceptable given the current understanding. If you wander outside that you are in for serious challenges. But that is not how Nature works, which is what we are always trying to accomplish at least in our own little group. It’s not what the reviewers want or expect it’s about the seriousness of,’ How does Nature really do this?’ That is our guiding mantra that is what makes us vibrate. Scientists are possessed to be the first to get the first explanation. Here’s my answer to that. We don’t own Nature- never have- never will. We are on the side looking in at the wonder of how it all works in such intimate harmony plus how easily it looses this harmony in damage or disease states. To puff out your chest and strut around displaying “I got there first” is such a cartoon. Nature has been around for billions of years the fact that anyone got 0.000000000000001 percent of how something works and says “I got there first” is sheer simplicity and puffery, the tragedy of the human condition. So what does this essay really mean about trying to better understand concussions? I think that two things are happening here. The first is this whole eye/balance neck muscle response where your head and eyes are positioned within a gravity field is, ‘going off’ following a concussion, let’s call it an oculomotor concussion within a brain concussion. I suspect these are two major events within a global concussion plus probably more as we tease out the details. Then there is the second aspect that concussions when viewed over a few decades appear to accelerate aging which has been recently just reported, by a group from the University of Montreal. 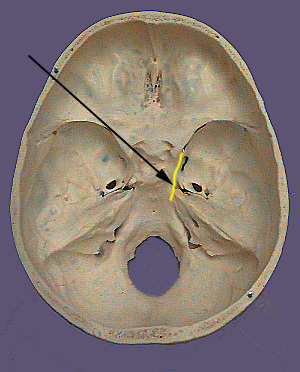 Recalling an earlier blog essay from cerebrovortex on the tensegrity zone behaviour happening within the vulnerable medulla mid brain that is the second aspect of the concussion problem, that affects a whole bunch of autonomic systems. That’s how I understand it as of now. Hopefully in a bunch of time we achieve more detail as we patiently teach ourselves as the observers of what is changing during a concussion, how can we accurately measure it? Can we shift brain deficits by some means of a specific treatment, like brain cooling? Here’s a final thought: But even as individuals when we engage to make a difference: to bring light to darkness is to bring joy to the toil of challenging the understanding, despite how small we really are. you are really a good webmaster. The website loading speed is amazing. It kind of feels that you are doing any unique trick. Also, The contents are masterpiece. you’ve done a great activity in this matter! Thank you very much with time the blog is maturing as some long thought about ideas get out there hopefully to stimulate people to think harder and better about treating concussions.